Many countries, including the UK, offer vaccination to girls to protect them against cervical cancer, and other related cancers, in later life. Previous results from research studies showed that vaccination protects against the most carcinogenic HPV types 16 and 18, which are responsible for 70% of cervical cancer cases worldwide. Some women in Grampian took part in these early vaccine studies which resulted in the introduction of the HPV vaccination programme across the UK. Until now, data when all 12-13 year old girls are offered vaccination routinely in school has been lacking. So a team led by Tim Palmer at the University of Edinburgh with support from the University of Aberdeen decided to use this data to measure the impact of routine vaccination of girls with the bivalent HPV vaccine (which targets HPV types 16 and 18) on levels of abnormal cervical screening tests and cervical precancer (known as cervical intraepithelial neoplasia or CIN). CIN is divided into grades; CIN1, 2+ or 3+. Women with CIN2 and CIN3 are at risk of developing cervical cancer in the future if it is not detected and treated. They analysed vaccination and screening records for 138,692 women born between 1988 and 1996 who had a cervical screening test at age 20 (the age of invitation to first cervical screening in Scotland until 2016, when the starting age was raised to 25 years). 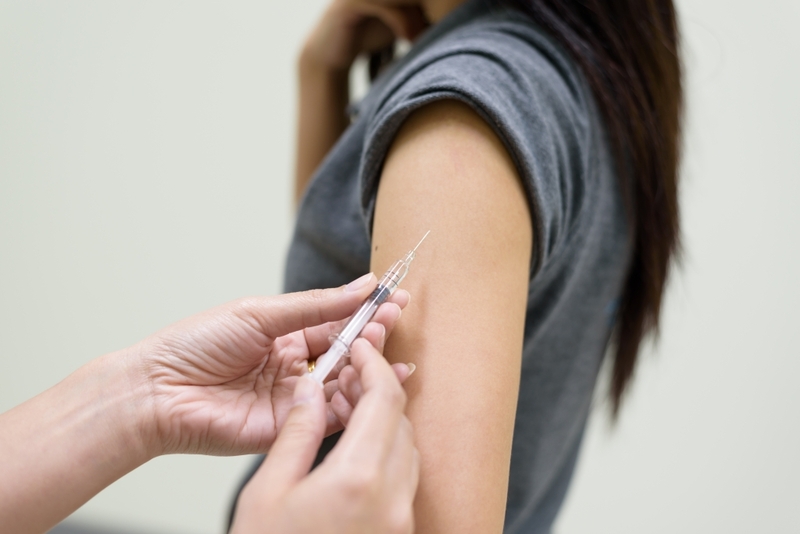 After taking account of other potentially influential factors that might be important, they found that compared with unvaccinated women born in 1988, vaccinated women born in 1995 and 1996 showed an 89% reduction in CIN 3 or worse and an 88% reduction in CIN2 or worse. The researchers point to some limitations. For example, the analysis was restricted to data from the first year of screening and attendance at age 20 was 51% for vaccinated women and 23% for unvaccinated women, possibly leading to over-estimation of vaccine effectiveness but this would be counter-balanced by the herd protection. Professor Maggie Cruickshank from the University of Aberdeen said: “The impact of the vaccine on the number of women offered the vaccine has already been seen in the Women’s Day Clinic in Aberdeen which sees women with abnormal smear tests. “With fewer women having an abnormal test and fewer women needing treatment, our waiting times have fallen and we have been able to free up staff and clinics for other conditions.